Teagasc – the Agriculture and Food Development Authority – is the national body providing integrated research, advisory and training services to the Irish agriculture and food industry and rural communities throughout Ireland. It is Ireland’s leading agricultural research and knowledge transfer provider with six world class research centres and a network of Advisory offices throughout Ireland. It is perhaps unique in European terms, if not globally, in having the three elements of research, advisory and education embedded within a single organisation. Teagasc has considerable experience in the establishment and use of networked demonstration farms across all the major enterprises. Currently, Teagasc Advisers engage with and support approximately 110 demonstration farms across the major enterprises of dairy, beef, sheep and tillage. These are all commercially operated, privately owned farms who collaborate with Teagasc and its partners to implement and demonstrate change. At the applied research level, Teagasc uses its own institutional farms to research and demonstrate systems for each of the main commodity areas. For education delivery purposes Teagasc uses a network of demonstration farms (Benchmark Farms) to supplement its own college farms for practical skills and learning reinforcement. 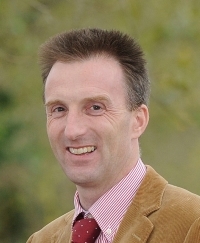 Dr. Tom O’Dwyer currently holds the position of Head of Dairy Knowledge Transfer within Teagasc and is based at the AGRI Centre, Moorepark. In this role, he is responsible for the development, delivery and evaluation of the annual Teagasc Dairy Advisory programme. He collaborates extensively with both researcher and adviser colleagues (internal) and other industry stakeholders (external). He also works closely with milk processor partners to deliver ‘Joint Development Programmes’, a key aspect of which is a network of demonstration farms. Over his career with Teagasc, he has gained extensive experience in knowledge transfer, facilitation, working with demonstration farms and leadership of development programmes. 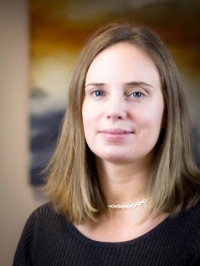 Dr Áine Macken-Walsh is a Senior Research Officer at Teagasc’s Rural Economy and Development programme (REDP) Ireland’s food and agriculture authority. She is a cultural sociologist and leads qualitative and action research to support agricultural extension and policy decision-making in Ireland and the EU. WP1, Leader of Task 1.4 (multi-actor approach) and contribution to all WPs.